Steamed shrimp dumplings with bamboo shoot (筍尖鮮蝦餃) - not bad. 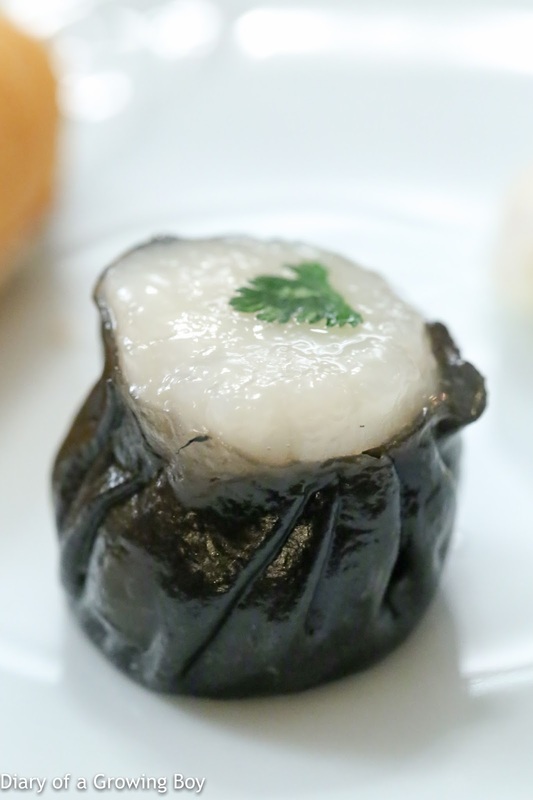 Steamed scallop dumplings with minced pork and black garlic (黑蒜帶子餃) - not sure I tasted the black garlic but this was pretty good. 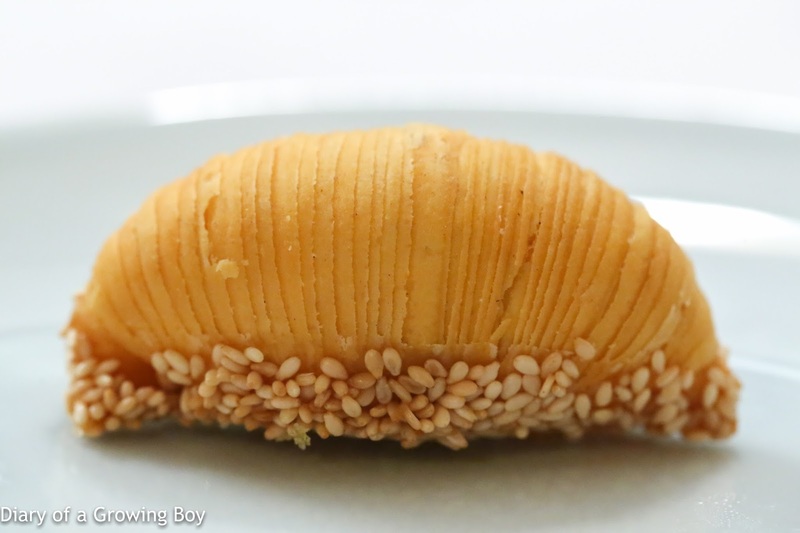 Baked puff pastries filled with turnip (蘿蔔絲酥餅) - very nice. Always one of my favorite things to eat. 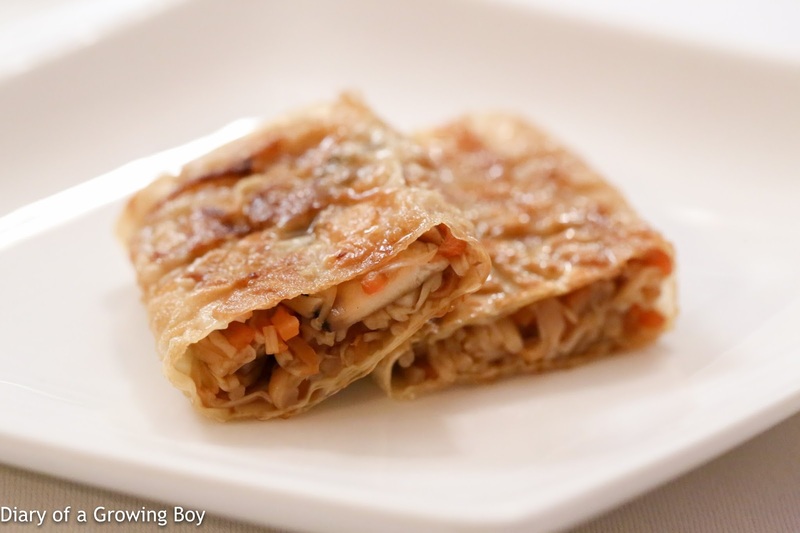 The crispy puff pastry was done pretty well. 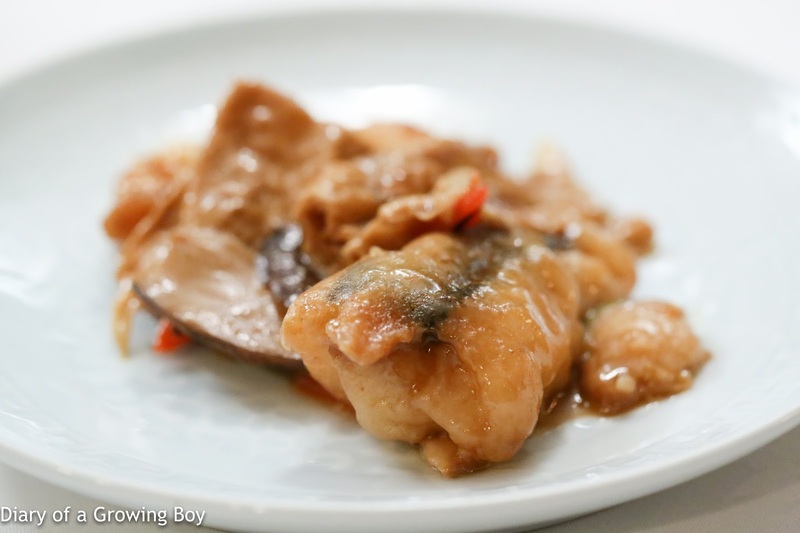 The pan-fried fish in soy sauce was very, very tender. 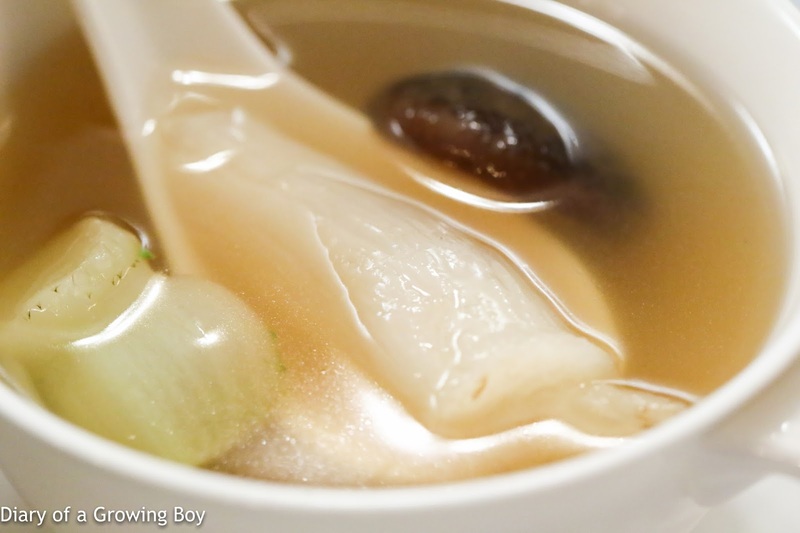 Double-boiled soup with fish maw, shiitake mushroom, and vegetable. 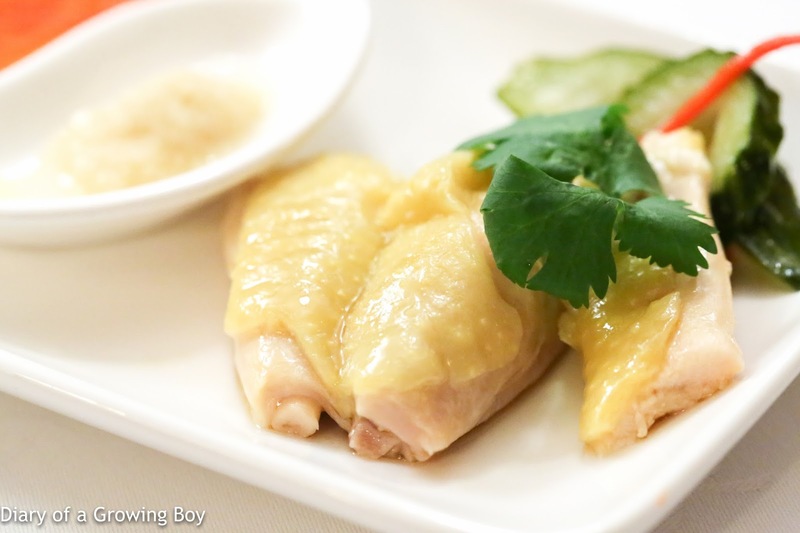 Hainanese chicken (海南雞) - pretty decent. The veggie dish was very, very good. 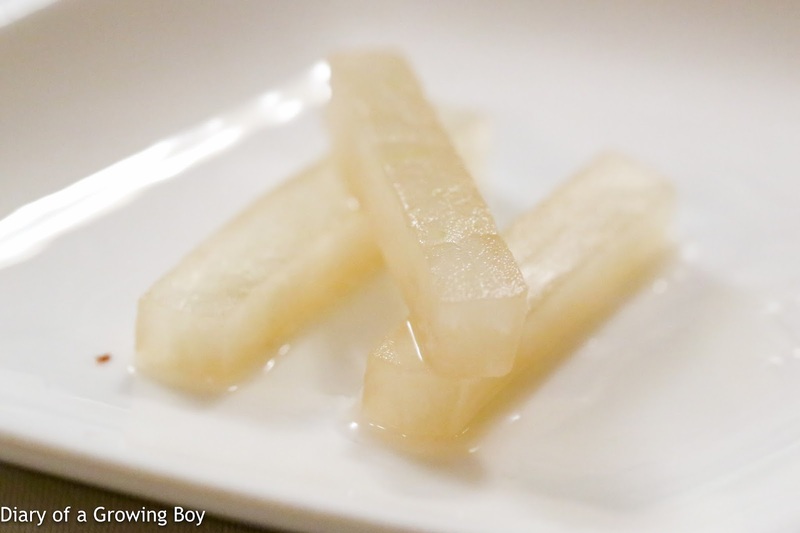 Asparagus wrapped in bamboo pith, bean sprouts wrapped in bamboo pith, and kailan (芥蘭). 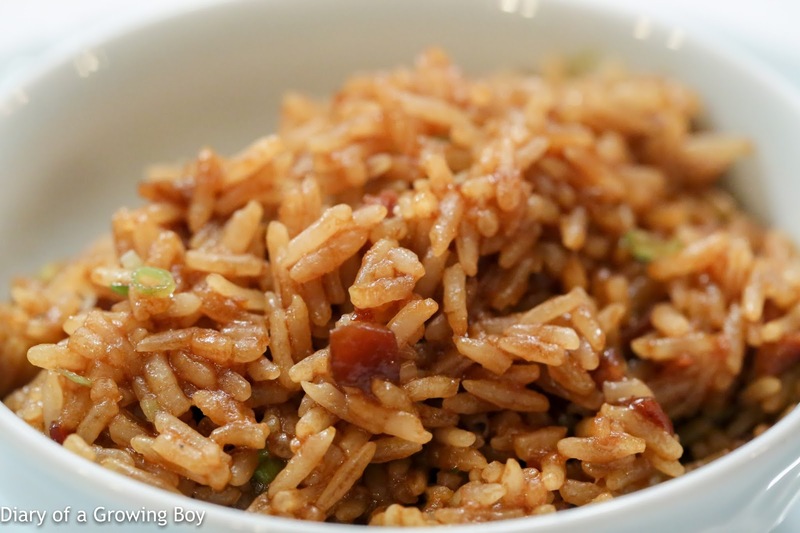 The rice was very moist and soaked in a very rich sauce, with bits of soft, fatty meat. Very yum. 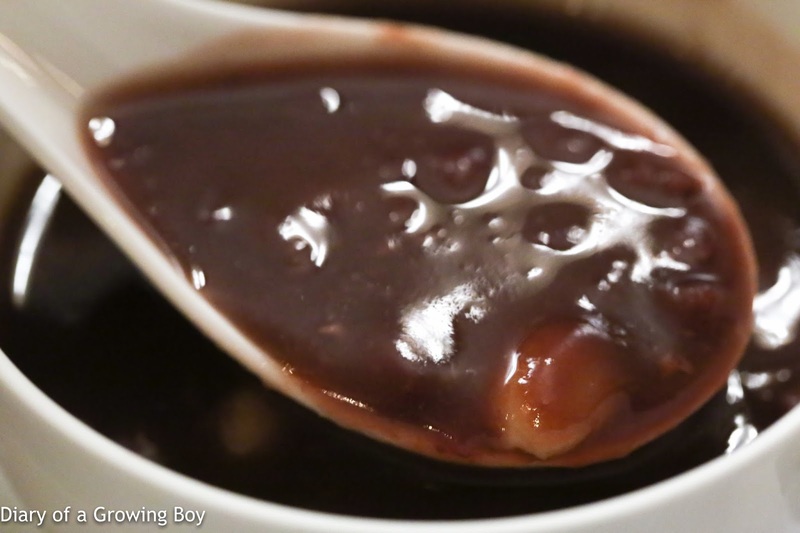 Red bean soup (紅豆沙) - pretty rich and viscous. Very good. A pretty good lunch, with good conversation all around. Many thanks to my friendly neighborhood prime broker for the treat!